While the 3DS version of this game has been available since the end of June, this DS port was only released a few weeks ago. Why there was a delay of over two months between releases is unknown, but at this stage in the system’s life DS gamers might be grateful for any games, regardless of how late they appear. Unlike say Indiana Jones or Star Wars, this Lego game is based on a new source (the line was introduced this year) and I’m pretty much unfamiliar with it. However the majority of the people who will play this game have probably played prior LEGO titles, and thus have an idea of what to expect. With that admission out of the way, let’s cut to the chase. 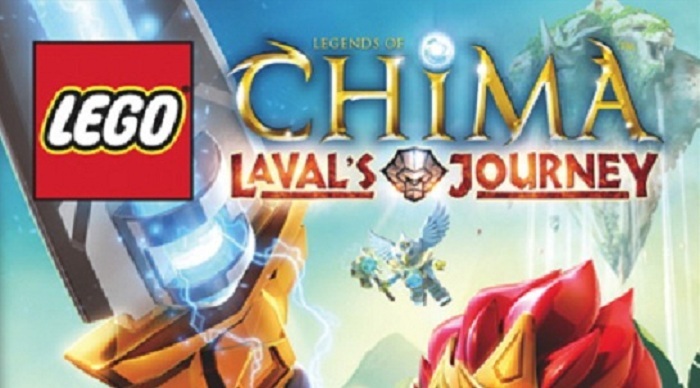 LEGO Legends of Chima – Laval’s Journey (is that a long name or what?) is a solid enough game I suppose, but it ended up struggling to keep my attention. Part of this might be due to my playing the DS version. As great as the system has been, it’s nine years old now. Even the best of games would be limited by what they could do with the aging hardware. Graphically this port has its work cut out for it. It’s full of muddy textures, and pixellated visuals. Though colorful, the shades are muted, and the cut scenes are fuzzy – especially when you compare them to the 3DS version. The fact that I couldn’t even find a single DS screenshot for this review is quite telling … Nintendo’s press site only has 3DS pics, and even the press release for the DS version used 3DS shots! Having said all that, the game does have a sense of depth and scope, with some diversity and imagination on display. If you are going to play the DS version, do so with an XL model if you can, and try to appreciate it for what it’s trying to do in spite of its datedness. The music fares much better I’m happy to report. The stirring tunes really set the stage for a grand adventure, and added to the epic flavor the game was aiming for. They helped in sticking with the game, and I’m very appreciative for that and for their overall quality. In terms of gameplay, there is thankfully some much needed variety on offer, such as controlling new characters which brings interesting new puzzles and the like. Overall though, I found the game to be slightly repetitive … especially when it came to the combat and backtracking. How much of this stems from my not knowing the source material is a fair question though, and I’m open to the strong possibility that it’s hindered my enjoyment. Even though this game wasn’t really my cup of tea, I freely acknowledge that fans of other LEGO games should consider taking a look at it. Kids especially will probably have some fun with this one, even more so if they are familiar with the theme on which is based. 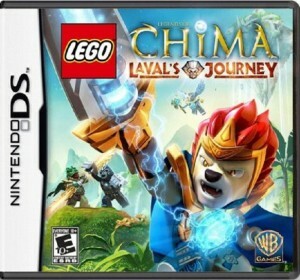 I’m not sure why this LEGO release was limited to handhelds only (its sense of scope might have been suited better to Wii U) but that being the case, I say grab the superior 3DS version if you are interested. For those who’ve yet to upgrade though, it is nice to see the DS continue to get a small handful of retail releases like this, even in late 2013. This game isn’t one I’ll be purchasing, but it’ll make for a decent enough rental.